Refreshments will be on sale through the event. Admission to the Gardens is FREE during the Weird Plant Sale. Visit the Gardens’ quirky once-a-year sale devoted to oddball plants and strange pottery. This one-of-a-kind plant sale showcases a variety of specialty vendors with both crazy and beautiful plant selections from all over the country. 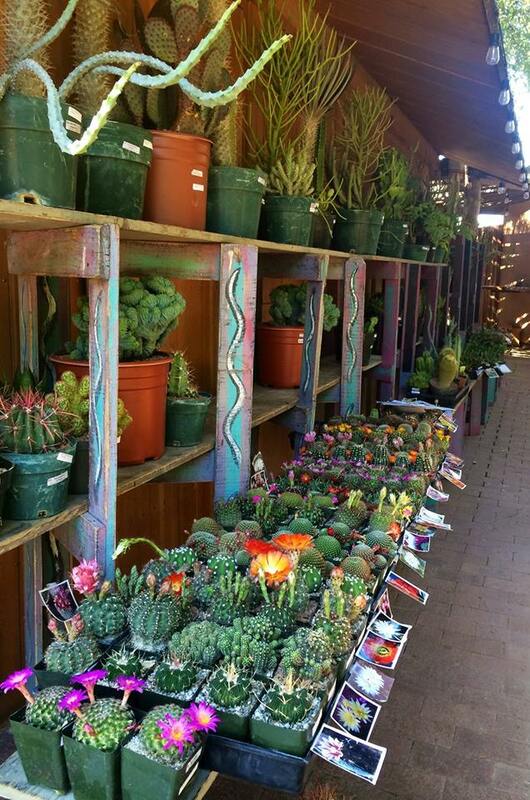 The Weird Plant Sale focuses on rare or downright strange cacti and succulents. A selection of offbeat, locally hand-made pottery is also featured. Carolyn’s note: Our son used to own those insect catching Venus fly traps and pitchers. We used to watch them snag a fly and then digest them. Very odd plants. See more at this sale, buy some for your own home. A bit chilly/drizzly earlier this morning to be one of the first to see these weird plants and pots for sale by various vendors. Learned about those strange stick like Lady Slippers, blooming cacti, as well as enjoyed ceramic decorations by Tentacle Arts, which hang or stick into pots or the garden soil itself. Check it out for more unusual cacti, desert plants till 1 p.m. today at TBG.